In order to train for our big 85k race in New Zealand, we ran 8 miles on Friday to pre-fatigue, and then 30 miles on Saturday. We decided to re-use a route (that was already stolen) with lots of elevation change, so we did the Trail Factor course. It rained hard from start to finish. So hard that the only sound was the splashing of our shoes in the puddles and impromptu streams. 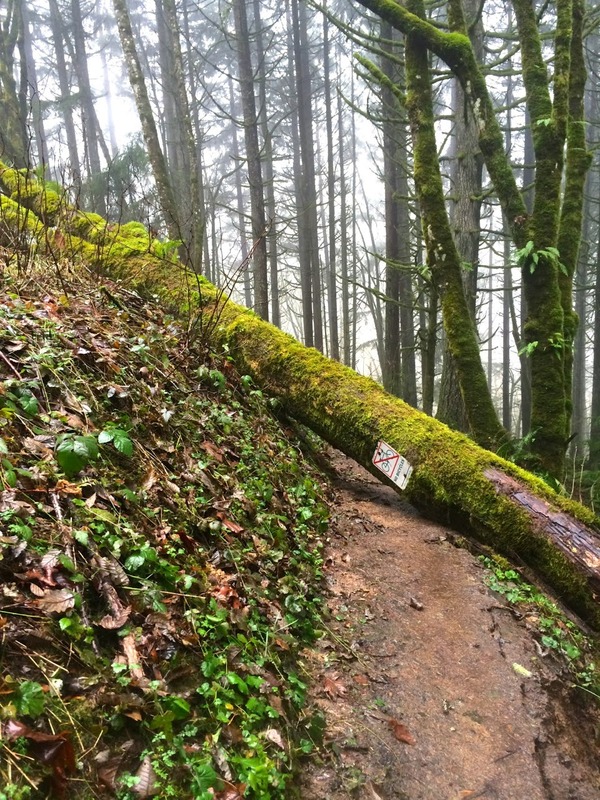 So hard that there were lots of downed trees and mini mud slides. 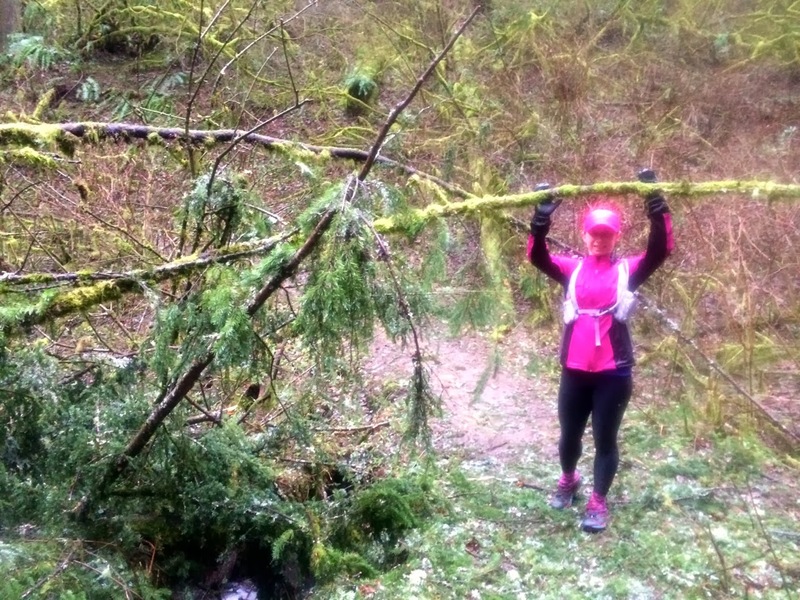 So hard that it was difficult to run on the sloshy, slippery trail. We weren't sure if it was the rain or the run from the previous day, but we were both tired and slowed way down. So slow that after about 5 hours into it, we decided to avoid the run up Firelane 5 and back down Saltzman, to leave out some climb. A little while past that, we realized that we had miscalculated and knocked off too much mileage. So we added another little up-and-down. I had to walk most of the uphill, while eating the last of my food. We were both ravenous and ate far more than usual. We were also far more tired than usual-- for most of the rest of the week! Was it the rain and our bodies trying to stay warm? Or the additional fatigue of the previous day's run? We're not sure, but hopefully we won't have the combination again for a long time.